Dr. Kelly Gin is a Licensed Specialist in School Psychology (LSSP) and Licensed Psychologist (LP). She graduated with a M.A. in School Psychology from Texas State University in 2002, and a Ph.D. in School Psychology, with a specialization in School Neuropsychology, in 2010 from Texas Woman’s University. Dr. 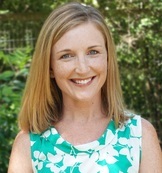 Gin has been employed as an LSSP in various school districts in the Dallas and Austin areas since 2002. Dr. Gin has extensive experience in evaluating school-aged children suspected of having a learning disability, intellectual disability, emotional disability, ADHD or autism spectrum disorder. She is also experienced in identifying giftedness. Her training in school neuropsychological assessment adds a range of knowledge and skills that goes beyond what is available in a typical psychological or psychoeducational evaluation. With her extensive experience working in school districts, Dr. Gin is uniquely positioned to provide consultation and guidance to families engaged in the special education process. She is available to provide comprehensive, yet impartial, independent educational evaluations (IEEs) at the request of school districts, parents or their advocate/attorney, as well as consultation regarding assessment and educational services.